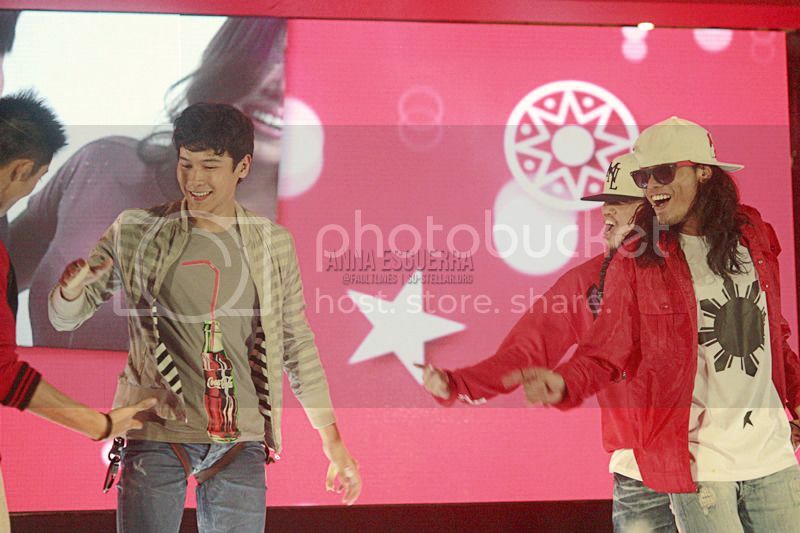 A few of my friends from OED were invited to this event by Bench and Coke in Trinoma last Saturday. I was pretty excited to attend this kind of event because it’s been TOO long since I’ve been to any! I was really looking forward to the part where I get to shoot a LOT of photos, and fortunately, I got to do that here! 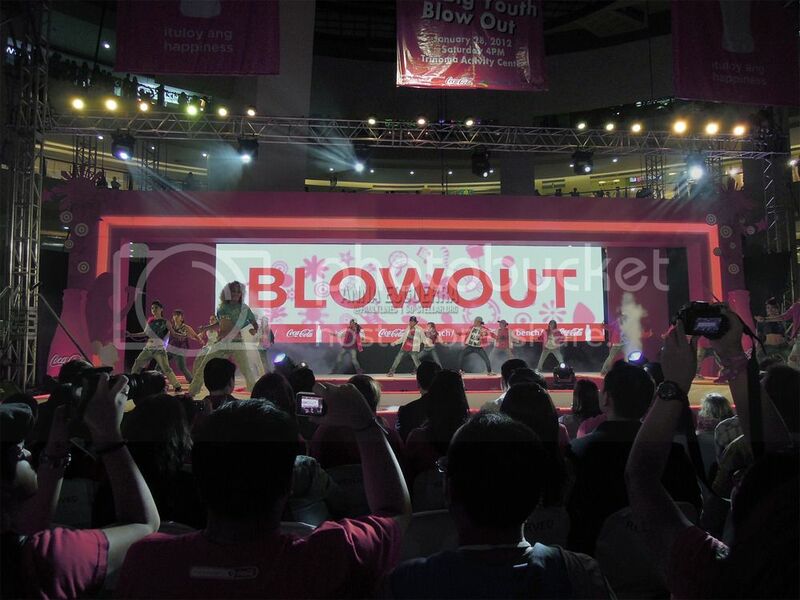 The “Big Youth Blowout,” a youth fashion show featuring chic statement shirts mostly of Coca-Cola related designs by Bench was launched in the Trinoma Activity Center in Trinoma, QC, Philippines. 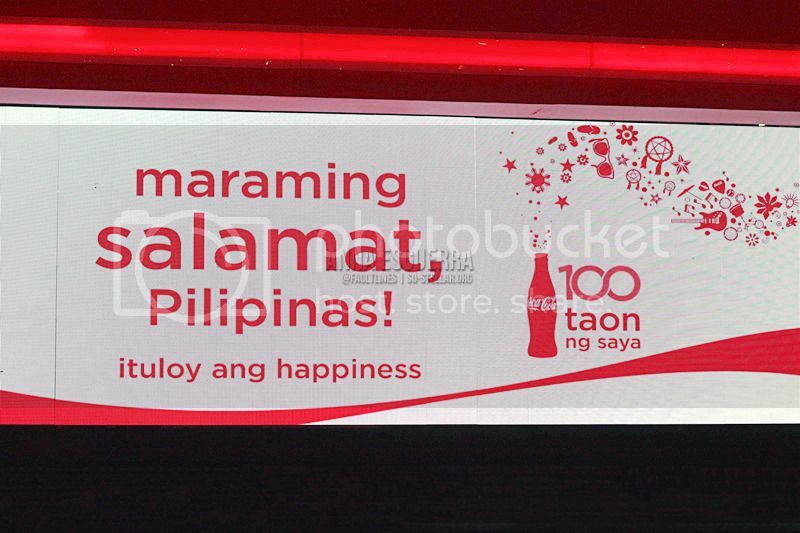 Among the most awaited people in this event were the celebrity endorsers and Happiness ambassadors of this campaign: Julia Montes, Kathryn Bernardo, Joseph Marco, and Enchong Dee. 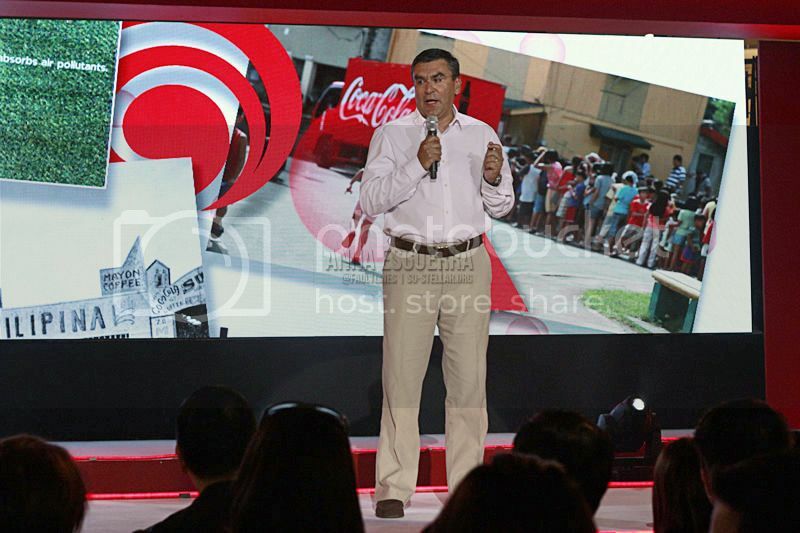 Before the show started, hosts MYX VJ Chino Lui-Pio and Bianca Roque interviewed the selected fashion correspondents of the day, then some hyper fun cheer dancing occurred courtesy of the UE Pep Squad, followed by a short talk from the owner of Coca-Cola Philippines none other than Mr. Guillermo Aponte. I was waiting for the owner of Bench, Mr. Ben Chan, to have a share some words as well but that didn’t happen. 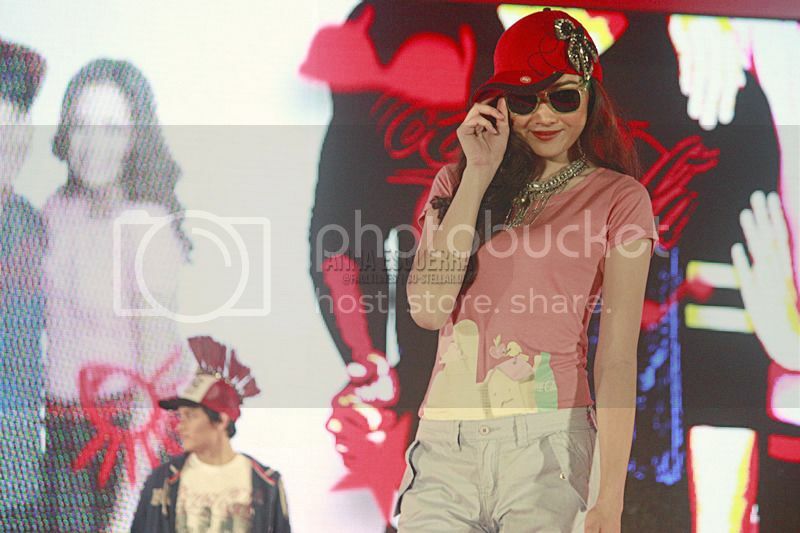 I think after this, the fashion show proper (lol?) started. I’m sorry I don’t really remember the sequence of events because I was busy shooting. Emphasis on that word! I was really more focused on shooting than paying attention to the show itself. 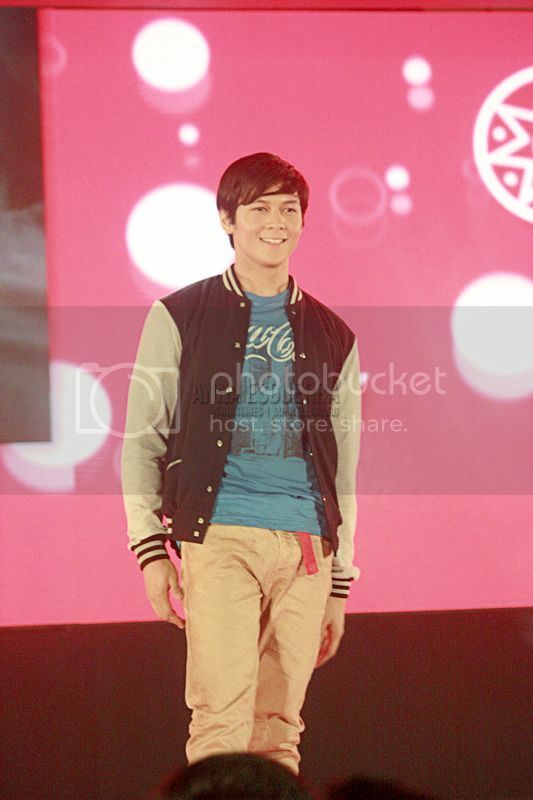 I was so busy that after Enchong’s part, came in the conclusion of the show. To me it felt like the whole event went by like a breeze. What. Definitely more photos under the cut so please go right ahead and click “read more”! The Philippine All Stars came out first to open the show (if you missed it, their photos are the ones posted on the very top of this post), followed by these lovely looking models sporting their Bench/Coke inspired styled outfits. I only have a couple of photos from these models who went out first, mostly just the ones with the outfits I find ~cool~. 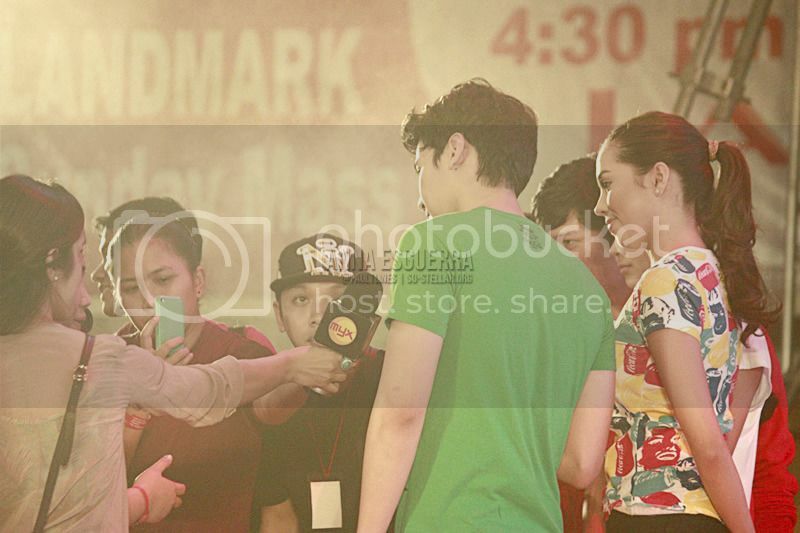 Finally, after the models were finished, came in Julia Montes and Kathryn Bernardo! It’s my first time to see these two kids in the flesh, and I’ve only heard of them from their teleserye Mara Clara (the remake, haha). 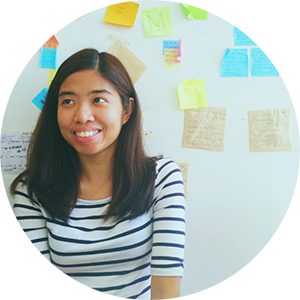 I find Julia to be really pretty to be honest, and she has that modest, humble look in her. While I was going through my shots of her, she reminded me of a flight stewardess for some reason. It’s either that bright, pleasant face of hers or that most of my photos of her have her hands together. This is my favorite shot of her! 😀 LOVE her face in this one. Just a little annoyed that someone’s head got in the shot and that she is not fully centered here. Argh. Downsides of shooting in continuous mode and not carefully planning it! I’m confused why this girl refuses to smile with her teeth showing most of the time? She looks more lovely when she smiles with her teeth! Look at Kathryn proudly flashing her pearly whites, hehehe. The boys had a different, rather interesting entrance than the girls. They came out mid-air in these fancy harnesses. 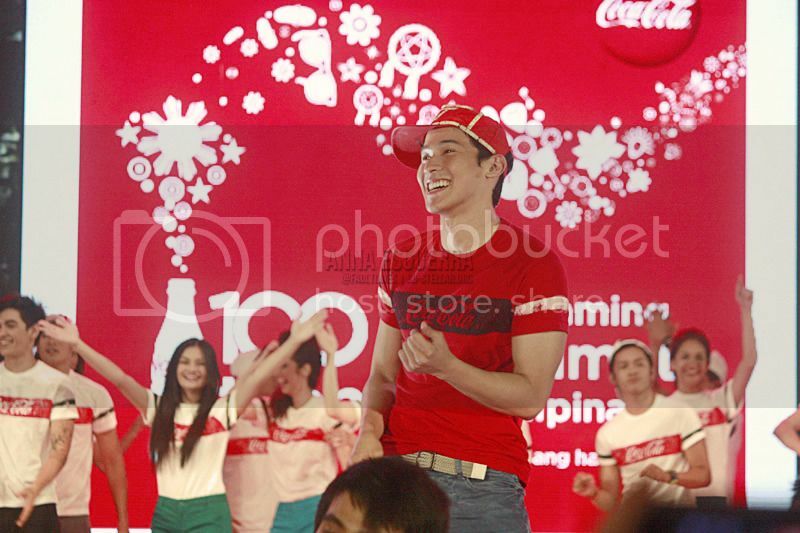 Joseph Marco was up first.. then he danced with the girls. 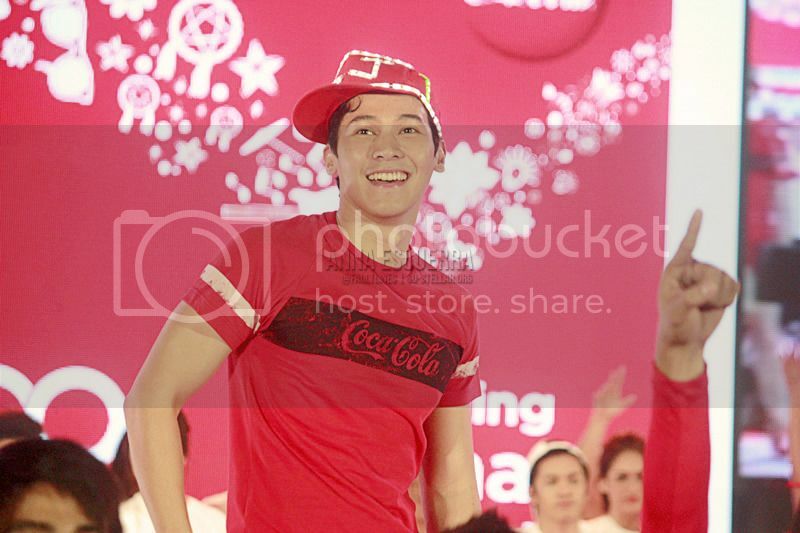 Lastly was Enchong Dee. Both the boys had their own interesting entrance. 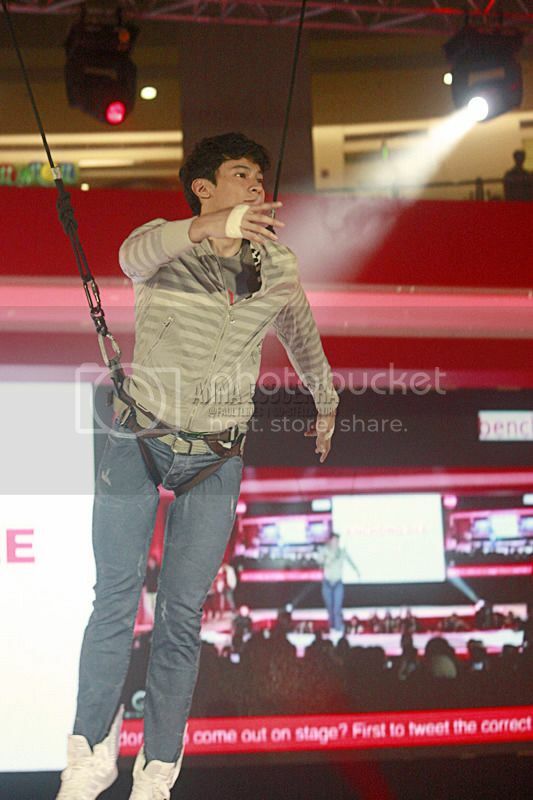 Enchong was doing somersaults high up in the air and Joseph was up in the air too but he didn’t have the same moves, (from what I remember) instead he was spraying some kind of smoke towards the audience lolz. 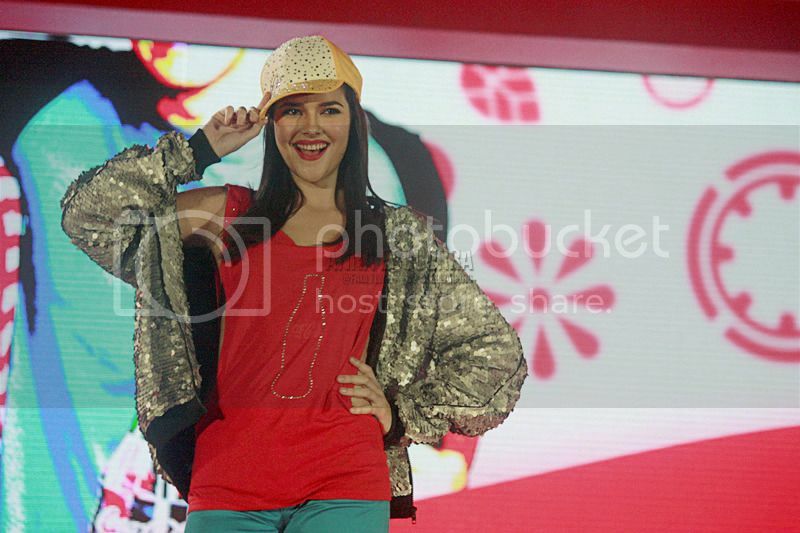 Here are photos from the closing part of the show. 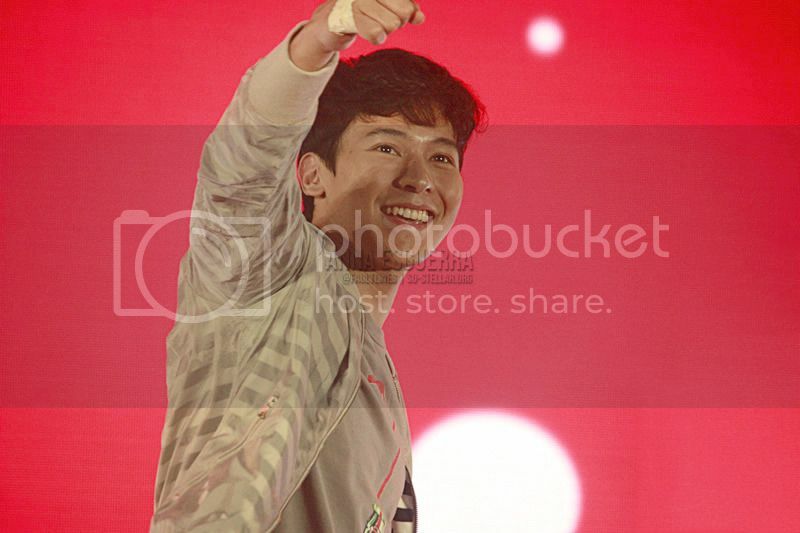 This happened right after Enchong made his way out of the stage (dancing and whatnot) and then the final walk down the runway happened with all the models and ambassadors. 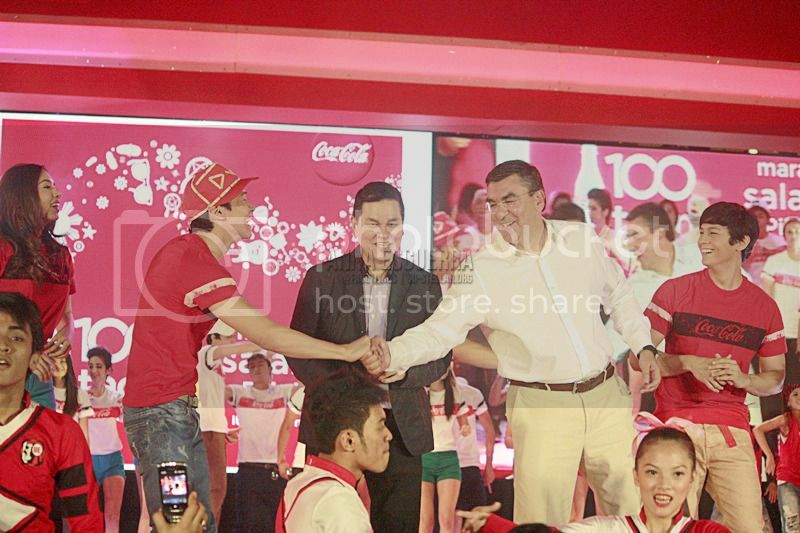 The Happiness Ambassadors had a photo op with the Mr. Ben Chan and Mr. Guillermo Aponte (Bench and Coca-Cola PH owners, respectively), then that was the end of the Coke-Bench Fashion Show! We waited a bit and stayed in the area after the people left and the show fully finished. 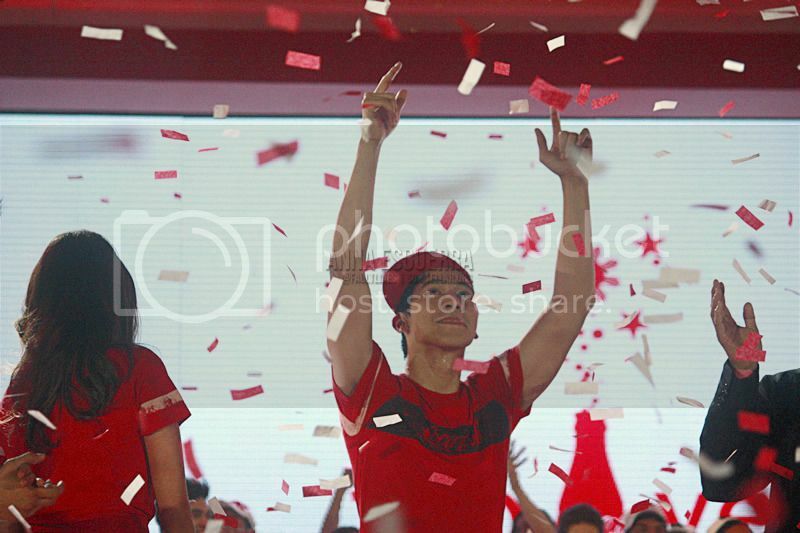 We caught a glimpse of the ambassadors and the Coke and Bench owners as well as Enchong’s parents and his manager, and Julia, Joseph and Kathryn. Fangirl times. 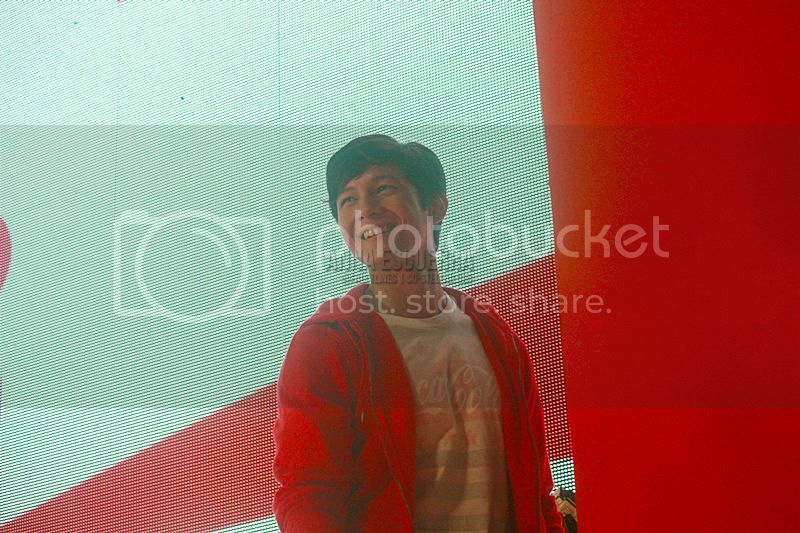 Lol, I didn’t get a photo of Enchong leaving the area cuz at that time I was in an unfortunate position (like 12 inches away from him) carrying a closeup lens so when I shot him (LITERALLY PUTTING THE CAMERA INFRONT OF HIS FACE LOL) I got a blurry shot. It was funny, too, cuz when he exited the stage he had to be accompanied by some bouncers unlike the other people cuz kids were chasing him LOL. Sayang. So here’s a (what I think is) proper closing photo for this entry. Anyhoo.. my friends and I left the area a while later. We saw these post-it notes on our way out! I quickly snapped a photo lang. 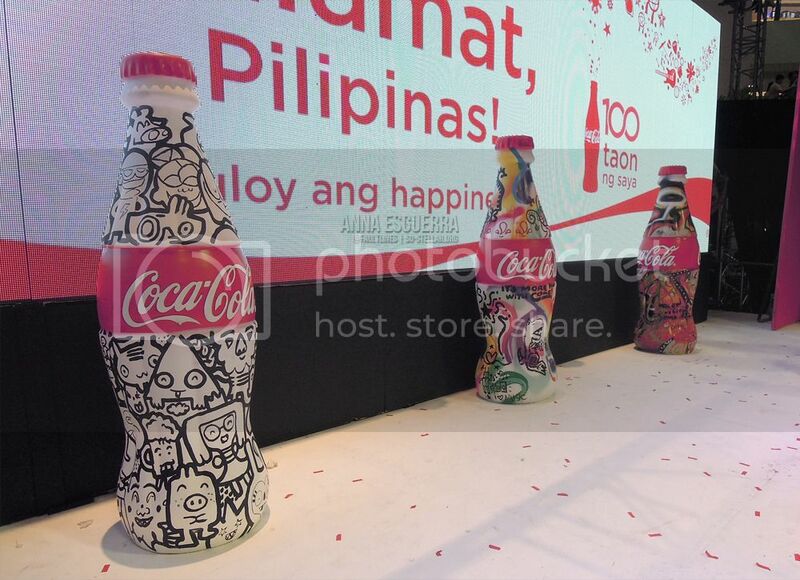 Also, good thing I didn’t forget to take a photo of the gigantic Coca-Cola bottles painted, customized and drawn on by the guests before the start of the show. Which Coca-Cola bottle is your favorite? Mine is the the one with the most simple design: Doodled Coca-Cola!